You must make reservations at least 5 minutes in advance of the time at Carmine's - 44th Street - NYC. There is ample and convenient parking in the Times Square area. Discount parking is available at Central Parking on 44th Street between 8th and 9th Avenue. Be sure to have your parking ticket validated in the restaurant. The nearest parking is directly across the street from the restaurant. Carmine's is two blocks north of the Times Square 42nd Street subway station serving the 1, 2, 3, 7, N, R subways. The A, C and E subways stop at 42nd Street and Eighth Ave. The B, D, F and V subways stop at 42nd Street and 6th Ave. The MTA bus system also serves the area. The M7, M10, M20, M27, M42, 27,104 all stop within one block of Carmine's. 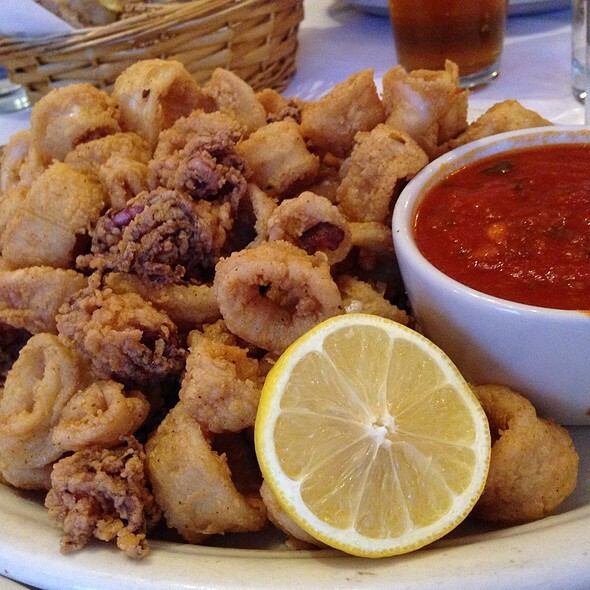 Carmine's is a true New York tradition, renowned for preparing the finest Southern Italian cuisine served family style in abundant portions. Our restaurant is dedicated to quality, service, and detail. Our professional events staff makes Carmine's a one-stop hospitality shop that attends to all of your needs. Corporate dinners, meetings, pre- or post-theatre groups, rehearsal dinners, birthday parties, movie premieres, or Broadway openings: let us create an event to be remembered! Our second floor offers a private dining room complete with a mahogany bar, private restrooms, coat check, and handicap access. The room accommodates up to 200 guests and boasts expansive windows reflecting the excitement of Times Square. For smaller groups of 15 or more, our plush velvet drapes can section off the room for semi-private dining. Lunch starts at $41.50pp. Dinner starts at $51.50 pp. 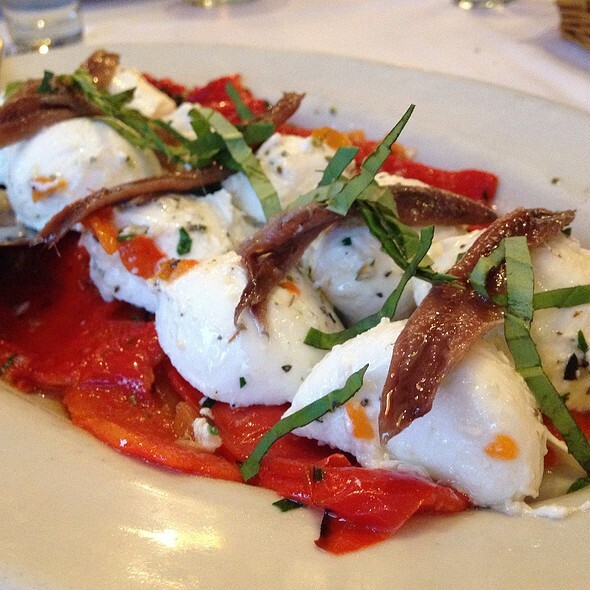 Enjoy Carmine's classics catered to the venue of your choice. Our off-premises catering services range from a small drop off and set up for 20 to a full scale, off-premises event for 2000. Our signature dishes, including Carmine’s famous Meatballs, Chicken Parmigiana, Veal Marsala, and Shrimp Scampi, will be delivered right to your door. Carmine's Catering offers one-stop shopping. Our full-service Catering Division offers a professional staff, complete set-up and service, rentals, linens, décor, and venue selection. Catering packages or customized menus available. 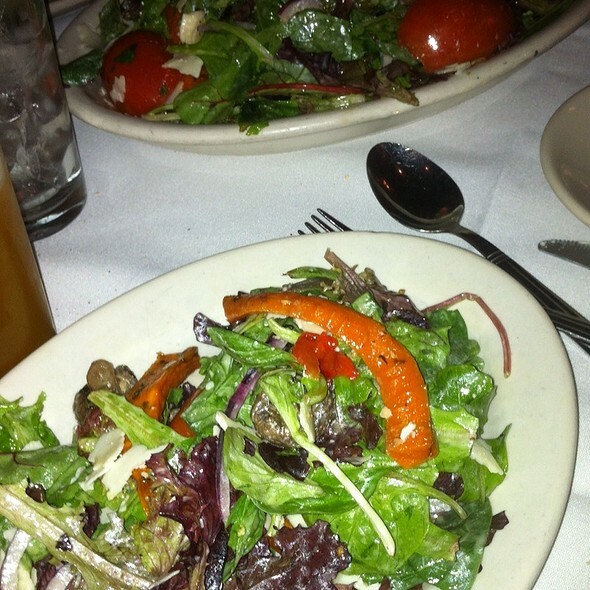 Thank you for choosing Carmine's Midtown. We are located in the heart of Times Square on 44th Street between 7th & 8th Avenue. Carmine's is a family style restaurant offering exceptional value to its guests through the many dishes of Southern Italian cuisine. With "wow-factor" sized portions and making any meal feel like an Italian American wedding feast. 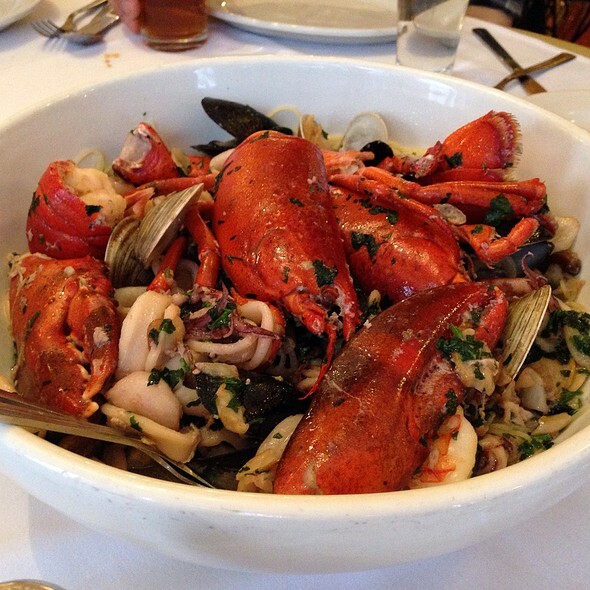 Platters of home-style antipasto, pasta, decadent seafood or meat entrees, and of course homemade desserts are all staples at Carmine's, meant for sharing amongst friends and family. When great food and wine are supported by friendly and knowledgeable service, the results are magic - we want every day to feel like a Sunday afternoon at Grandma's! Very large portions of food. Good to go with large parties. Carmines is the best in NY. I look forward to going there whenever I go to the city! Staff is excellent. Food is excellent. Great food. Great service. Make a reservation. We were seated right away with ours. Portions are HUGE so worth the money. 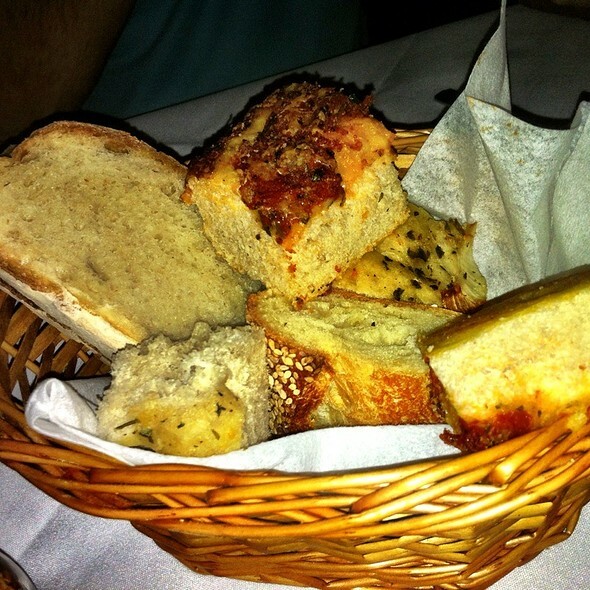 Carmine’s is a favorite restaurant of mine and although I had not been there in 29 years it was like time had never passed because the service and the food tasted the same if not better. My guests also enjoyed themselves and we all say that we cannot wait until the next time to go back and enjoy more food and good service. We were treated like royalty and a close family members who came home for dinner. Thank you to all the staff and the owners for making this so special. Fabulous!! Food servings are massive, but our server advised us to share. We had a 4:30 reservation and were promptly seated on time to what looked like a packed house. Our server was very friendly and was willing to help us navigate the family style menu. She recommended we order just one thing due to the size so we opted for the basic spaghetti and meatballs. Wow. Not basic here. A full platter of perfectly cooked pasta with just the right amount of sauce and covered with moist meatballs. Perfect for the two of us with some bread and wine before a show. Out the door with a tip for $80.00. Its not intimate. It's fun, lively, and neighborly. Can't beat it just steps from the theater. Our go to restaurant in the theater district. Always a great meal. Had a dinner reservation and was promptly seated. Service and food outstanding. 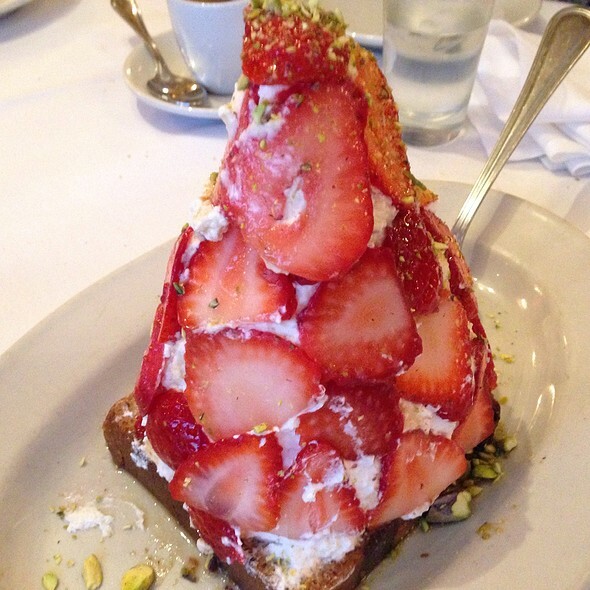 You cannot go wrong with Carmine's. Location is the best, too. Booked reservations online for 4pm. Enough time to enjoy are meal before are show. Place was packed with people waiting to be seated. Waited 10 minutes at bar. Family style. Food was on point. Definitely recommend and we hope to go back again soon. The food was delicious, the service was great. The plates are big and you can share for 3 or 4 people. I recomend it so much. Es un sitio muy recomendable. Portions are meant to be shared. 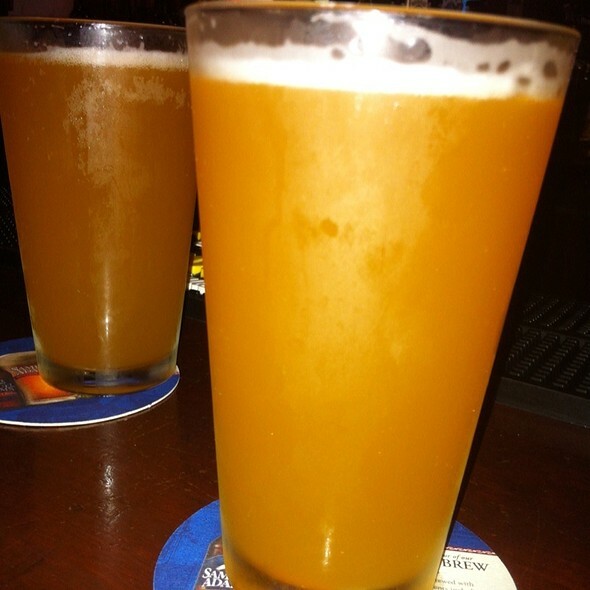 Two can finish a dish, but three would be enough. Love this place! Every time we come to NY we visit your restaurant! Our server was great! Despite my reservation from Open table, we had to wait 20min vs reserved time. Food was nice while having just pasta and beer because of the volume. we has Easter dinner which was as always absolutely delicious. I would recommend it for the food which is excellent. However, eating at Carmine’s was not enjoyable. There were way to many people. The noise level was unbearable not to mention the added annoying music playing in the background. The tables are literally on top of each other...you can’t move your chair in any direction without hitting someone at another table. On this particular evening, the service was terrible. We had to ask for bread which is normally the first thing on the table. The waitress was nowhere to be found when we needed her. However, when it was time to pay the bill, she hovered around us. This was suppose to be one of the highlights of our trip but in the end, we couldn’t wait to get out of there. Carmine’s is always on point! Waiter was great, food was great. Overall, always a great experience! Only one complaint would be that is was a little hot in the eating area. Great atmosphere! Huge servings of food. Everything was delicious. Everything was perfect. The food was great,the service spot on .Had a great time. Can not say enough good things. Easter Dinner at Carmine’s was amazing!! Our meal was outstanding as usual. We had the rack of lamb & it was cooked to perfection. Over the hype of Carmine's that has not delivered the past few visits. Food order was verbally taken and both pastas were wrong. Water glass had major crack discovered near end of dinner. Waiter was not attentive to table - had to look for him. Drink orders were extremely slow and one never received. Waiter wanted food order 20 minutes before the drinks were served. Way too long for first drink. Always a great time at Carmine's its a treat to bring family here. True family style portions that will last for days ( we had 4 people) All the pastas are really fresh as are the meat and veggie entrees. Service can be a bit unattetive it seems very chaotic at times but the food and experience are worth it. If you are in a rush it might be cutting it close if you have to be at a show etc. I'm a believer! Love the Parmesan and Giardiera pasta. We have been there many times and Carmines never disappoints. Because it’s always packed reservations are necessary and should be made weeks in advance. Everyone is very friendly and the service is great. Our special favorite is the rigatoni with broccoli & sausage...delicious!! No one leaves hungry. We had a great meal with outstanding service as always. Carmines is family style and the waiters are very good at letting us know if we are over ordering. they were extremely professional and I felt like I was at a very fancy restaurant but with a casual atmosphere. this is a quintessential NY experience! Penne Alla Vodka from your dreams. Highly recommend coming here with large groups. Perfect for family style dinner. Short wait to be seated. Server was busy, a little less attentive then we are accustomed. He would just pop in and out. Food was delicious. THE PORTIONS ARE HUGE!!! COME WITH YOUR APPETITE BECAUSE YOU WILL BE FULFILLED. As always the food was great! We only had 4 people and we ordered too much, but we definitely enjoyed the dinner.